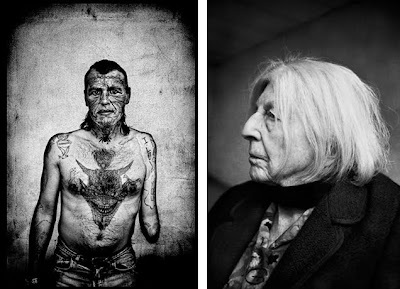 1000 Words is very pleased to present its second workshop with highly-acclaimed Swedish photographer, Anders Petersen, in Fez, Morocco (27 April - 1 May 2011). We are asking both professional and amateur photographers to submit entries for this rare and challenging experience. The 1000 Words Workshop takes place in an authentically restored riad situated in the medieval medina, at the heart of the beautifully evocative city of Fez, Morocco. The workshop will be an intense experience lasting five days between 27 April - 1 May 2011 and will consist of 12 participants. The medina is a vibrant labyrinth that will permeate all the senses. Surrounded by the Atlas Mountains, it offers a visually stunning backdrop for this truly unique workshop. We require that you send 10 images as low res jpegs and/or a link to your website, as well as a short biography and statement about why you think it will be relevant for you to work with Anders (approx 200 words total). Submissions are to be sent to workshops@1000wordsmag.com with the following subject header: SUBMISSION FOR 1000 WORDS WORKSHOP WITH ANDERS PETERSEN.